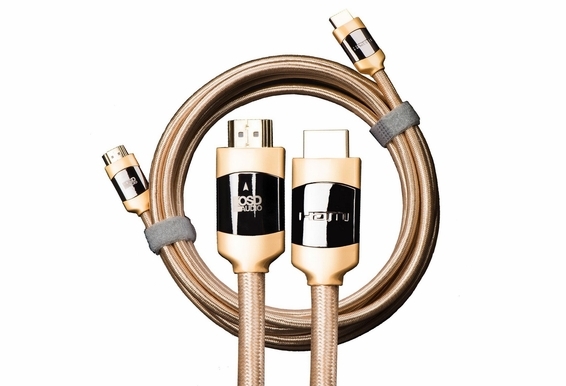 Aurum’s High-Speed HDMI Audio Video Cable with Ethernet is an audiophile-grade cable that allows you to connect Blu-ray players, computers, game counsels and other devices with HDMI ports to displays and audio/video equipment without the need of an Ethernet cable. 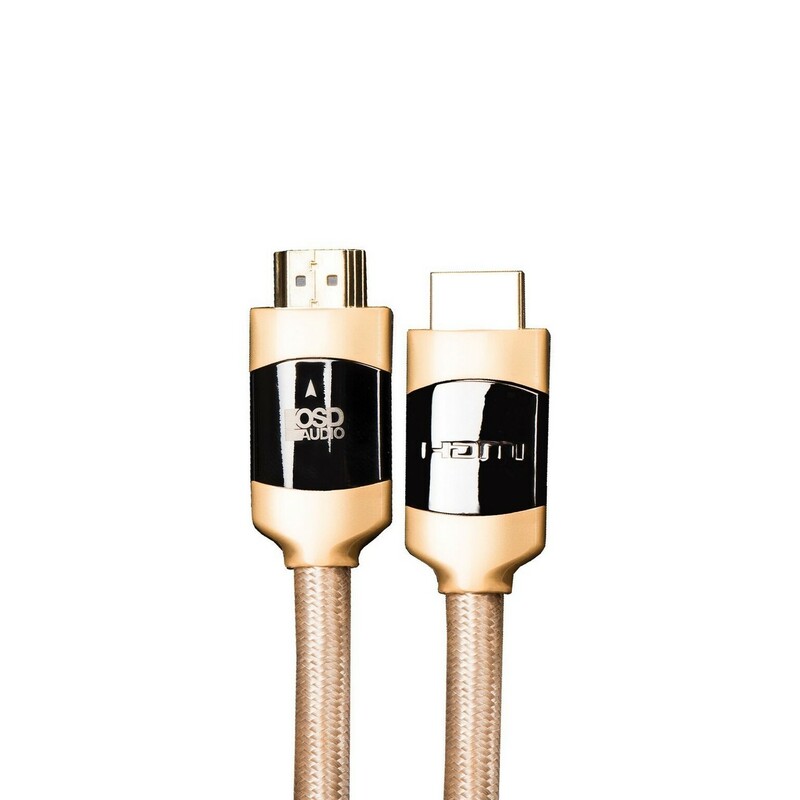 Aurum’s high-speed HDMI cable supports the latest protocols including 4K but is also backward compatible, so this HDMI cable will work with any HDMI-enabled device. There’s a lot of hype surrounding HDMI performance, and most cables you can buy today will perform the same as far as transfer rates. 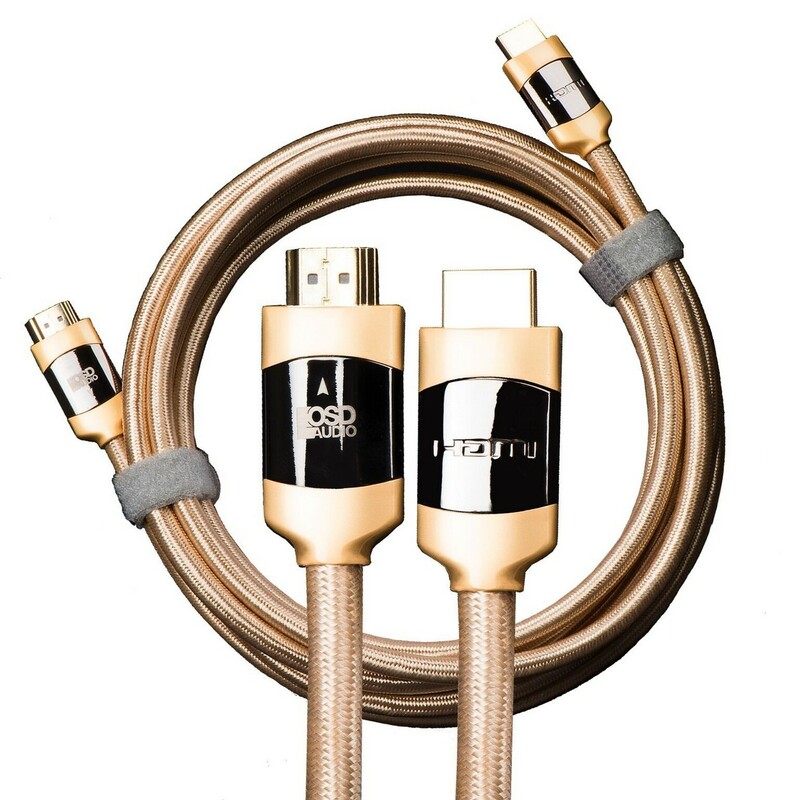 The difference between Aurum cables and others is the durability of the construction, ease of use and the quality of metals that supports a reliable signal quality, even for runs up to 40 feet. 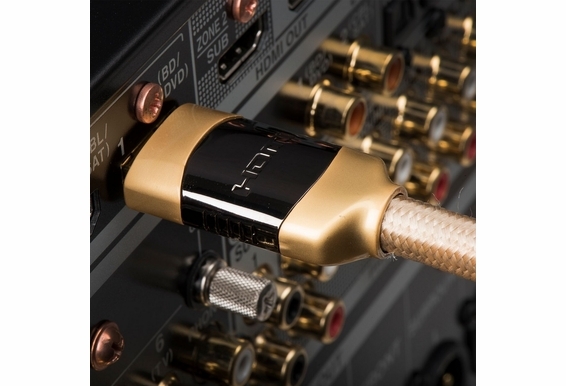 For audiophiles, videophiles and gamers to who often plug and unplug their devices, the custom tooled gun-metal connectors are easy to insert and remove but also offer a tight and reliable connection. 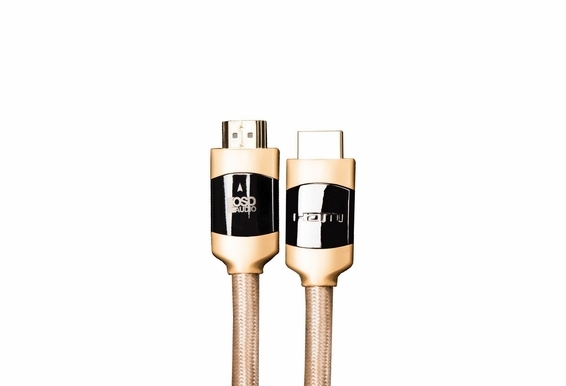 The braided gold sleeve is flexible but won’t pinch or retain coil memory like standard HDMI casing. 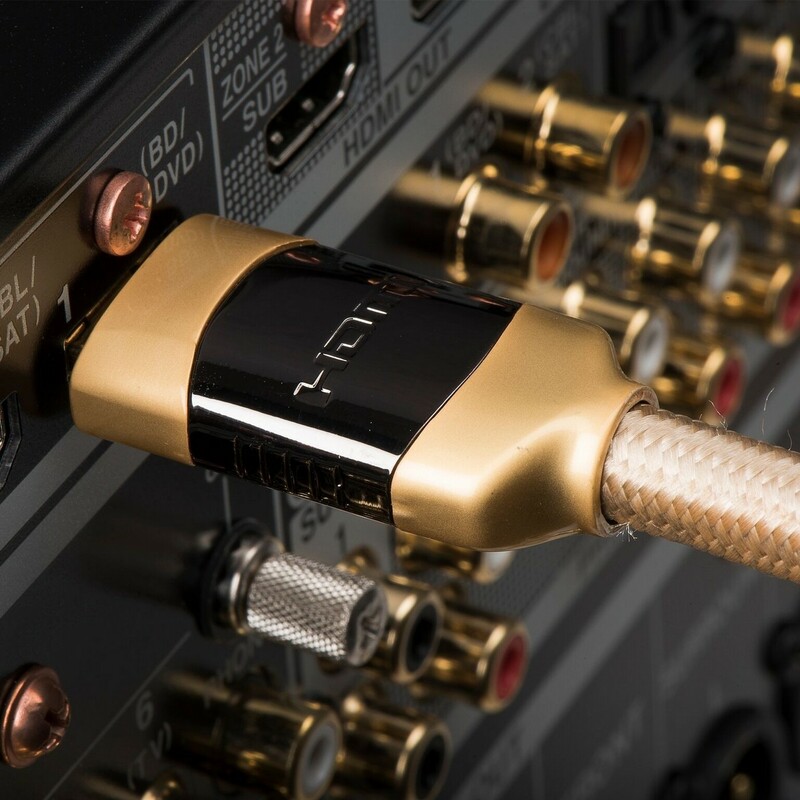 Aurum HDMI cables feature pure copper 26-gauge conductors for excellent video, audio and data transfer, while gun-metal plated conductors provide excellent conductivity and corrosion resistance. The mat black jacket is CL3-rated (US) and FT4 (Canada) for safe installation in walls or ceilings of residential buildings. HDCP compliant, all Aurum cables support 4K, Audio Return Channel (ARC), 3D, 1440p, 1080p, 1080i, 720p, 480p, and 480i. Aurum makes cables that do what we say they will, but we don’t exaggerate our claims or our price. The integrity of each cable is carefully tested throughout our manufacturing process, so every Aurum cable delivers on performance or you can return it with no questions asked. Sold as a single cable in 1m, 2m, 3m, 5m, 6m, 10m, 12m lengths. Resolutions up to 4K@50/60 (2160p), which is 4 times the clarity of 1080p/60 video resolution, for the ultimate video experience.